Today when one of our Senior Care Assistants went to feed some of the wildlife when she discovered a lovely treat. 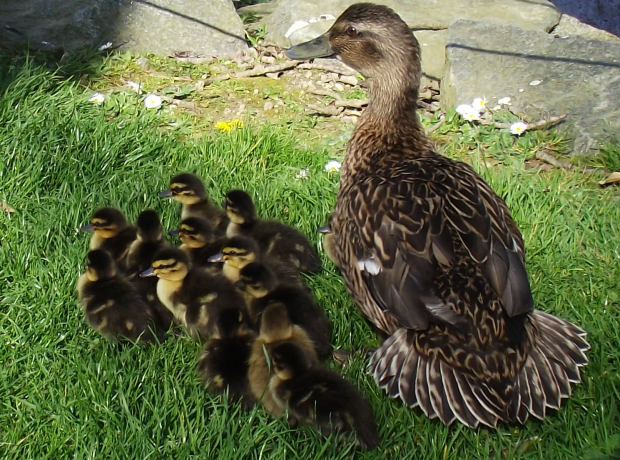 One of our female ducks hatched 14 little ducklings and proceeded to take them down onto the pond to see Gert and her friends. With the cold weather the GSPCA are appealing for help towards electric heat pads for the animals in our care. We have a variety of species from cats to hedgehogs all in need of items to keep them warm in this cold snap. Although we have enough to manage at present we are appealing for donations so that we can purchase additional heaters in case we have more sick, injured or abandoned animals brought in this winter and what will no doubt be a busy time when the fledgling season starts. Did you miss the GSPCA on Countryfile last week? Watch us again on iplayer. 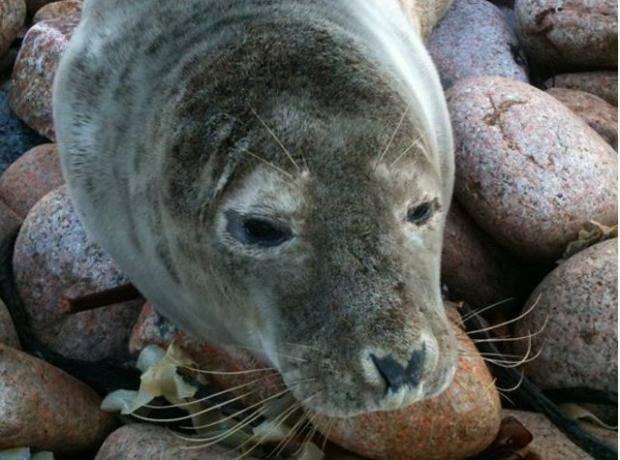 Last weekend the GSPCA and Guernsey were featured on BBC Countryfile. The Shelter staff enjoyed working with the film crew and production team. The GSPCA were very proud showing them the work we do for Guernsey’s wildlife and facilities we have. Razy the razorbill after nearly 2 weeks of rehab is doing really well. Now up on his feet, his wing on the mend and his waterproof oils coming back we are hoping it won’t be long until he will be able to be sent back into the wild. This weekend the GSPCA is supporting the RSPB’s Big Garden Birdwatch. We get all sorts of wildlife in and today we had an injured razorbill. With the windy, wet and cold weather wild animals and birds often find it difficult to feed and Razy our razorbill is just one of those cases. On a diet of fish being kept in a thermostatically controlled hospital cage Razy is doing well and we are hopeful will make a full recovery and be able to be released back to the wild very soon. Yesterday the GSPCA welcomed the BBC Countryfile team. We can’t say much as we want to keep what happens as a surprise for the programme. What you will see is Ellie Harrison the BBC presenter following our Animal Collection Officer Geoff George as well as scenes at the Animal Shelter Wildlife Unit with our new Animal Care Assistants Eddie Higgins and Annie Janes. The start of 2012 has already brought the Animal Shelter a number of sick and injured animals & birds from around the island but with the continuation of the windy weather we are asking everyone to keep a good look out. The bad weather means it is difficult for hedgehogs and birds to feed normally and the young seal pups can easily be separated from their mothers.